BCB Red Team has defeated BCB Green team in the first practice match before the upcoming Emerging Teams Asia Cup. It was the first match of the BCB Green team captain Mashrafe Bin Mortaza after he suffered an injury in the New Zealand Series. Winning the toss, Mashrafe decided to bat first. Mehedi Maruf and Tushar Imran were dismissed in quick successions by Abu Hider Roni. Shafiul Islam also got rid of Anamul Hoque. At one time, Green Team lost 3 wickets on 11 runs. Then Azmir Ahmed and Salman Hossain did some repair work and added 45 runs in the 4th wicket. After their departures, Zakir Hasan guided Green Team. He scored 57 of 80 balls with 4 fours and a six. Captain Mashrafe scored 19 runs of 30 balls. But Green team lost wickets regularly and one time were 155 runs losing 9 wickets. Number 11 batsman Nayeem Junior scored 39 runs to help them pass 200 and manage a modest total. Chasing this, Red Team got a flying start. Afif Hossain and Saif Hassan scored 70 in just 10.2 overs. Afif scored 27, but Saif was the star performer scoring 62 runs of just 66 balls. Captain Nasir Hossain then guided them to victory scoring 52 runs. 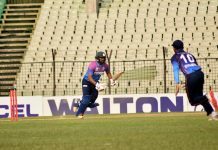 Sanzamul was unbeaten on 24 runs. 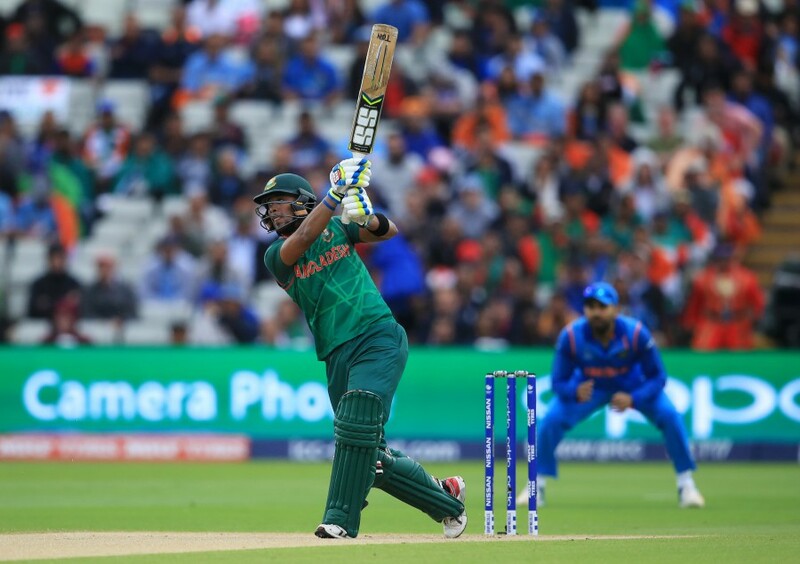 Mashrafe remained wicketless in his 8 over spell.